Feeling blue during the dead of winter? Me too. Especially when it comes to my wardrobe. My standard winter outfit consists of skinny jeans tucked into boots paired with a sweater or some kind of layered shirts combination. This outfit is starting to feel as boring as a sunless chilly day. When brainstorming ways to spice up my wardrobe I immediately thought of the primary colors. What better way to brighten a dull winter day than with a vibrant red, yellow or blue? Check out my picks below to add a splash of color to a winter wardrobe. 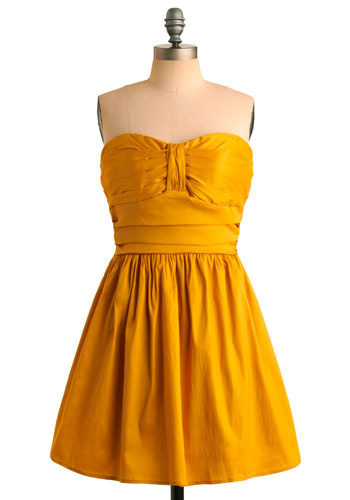 Add a bit of sunshine to your winter wardrobe with this goldenrod dress from Modcloth. Stay warm by wearing it with funky tights and tall boots. This dress costs $50. 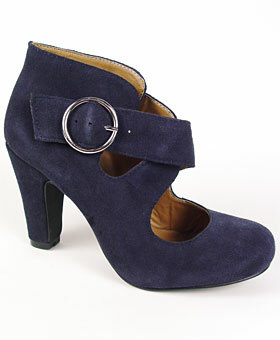 Give your everyday office wear a splash of color by pairing your pencil skirts with these edgy cross strap Maryjanes. These funky pumps are $72 from Plasticland. 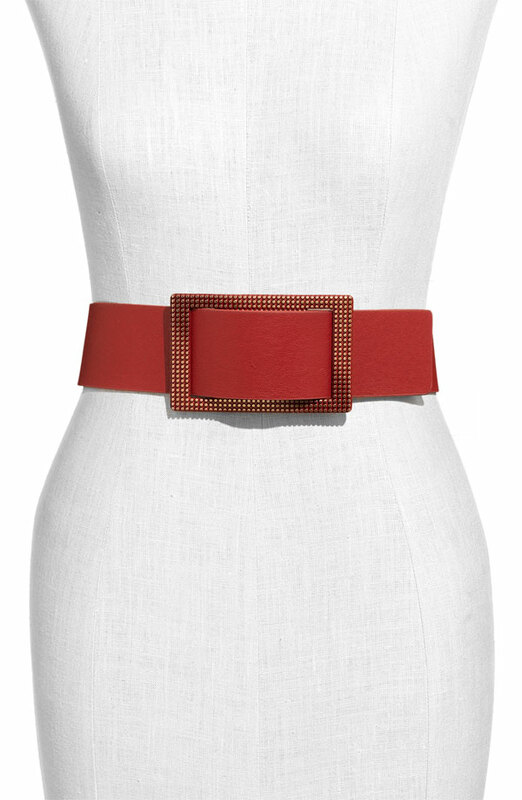 Wear this ruby red belt over a structured dress or a thin long sleeved tee to give your waist definition. Or try a skinnier version of this belt over a chunky cardigan. This wide faux leather belt by Betsey Johnson costs $25 from Nordstrom. I hope these ideas bring a little cheer to your winter blues! What do you think of primary colors? Would you wear them? Tell me about it in the comments section. Want more winter fashion from everydaythreads? Then check these out. Ever heard of an infinity scarf? Find out why it’s super easy to wear. Do you love the idea of curling up in a cozy sweater on a cold night? Then you’ve got to see these sweaters.